A Berkshires vacation can be an ideal family experience, a romantic getaway to historic New England inns, an outdoor adventure, a culinary delight, or a cultural extravaganza. Read on to discover more. In western Massachusetts between the Pioneer Valley and the New York border lays a region made popular by artists and the wealthy called The Berkshires. 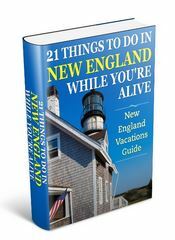 Few other places in New England offer in such a small area access to diverse outdoor recreation by day and fine restaurants and cultural activities by night. Scenes from The Berkshires showing a beautiful landscaped garden in Stockbridge, the popular Hancock Shaker Village and the picture-perfect fall foliage color. A trip to the rolling Berkshire Hills can include: nature walks, arts and festivals, golfing, fishing, horseback riding, hiking, biking, canoeing, kayaking, rafting, and a mecca of museums scattered throughout the towns and villages of the region. 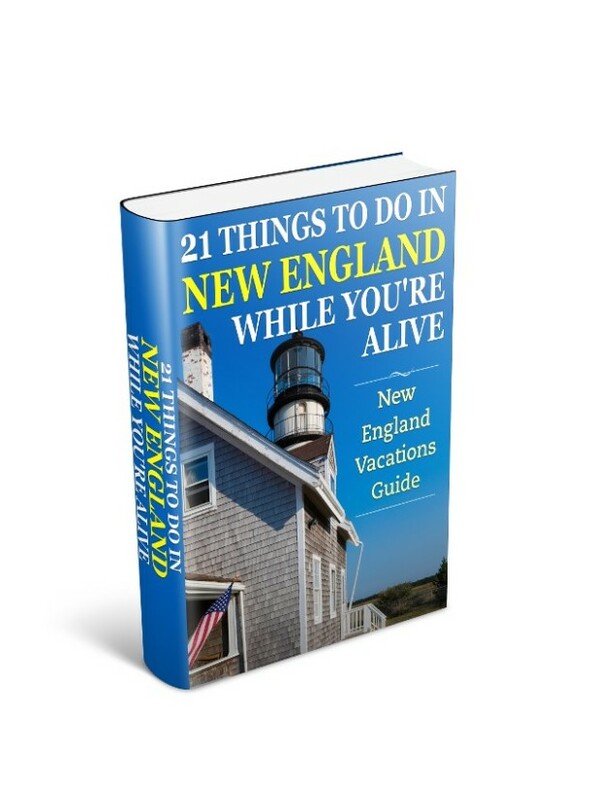 It’s a perfect destination for a classic New England vacation. ome of New England’s finest Inns and restaurants can be found in the towns and villages of the Berkshires. Long ago the area greeted travelers to Albany with a respite from a difficult and uncomfortable journey with taverns and stagecoach inns. Some of these places such as the Red Lion Inn and Merrell Inn have survived the centuries, and yet more over the intervening years have been transformed from wealthy mansions to luxurious hotels such as Blantyre and Wheatleigh. 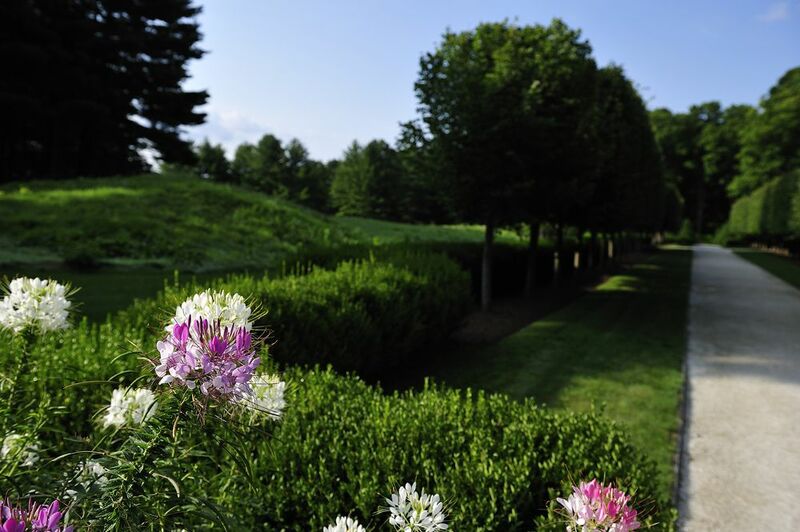 They all offer a unforgettable resting place for your Berkshires vacation. For more information on lodging deals see special section below. Every part as important as your accommodation is how your palate is delighted while staying in the Berkshires and you can dabble in a diversity of cuisines while vacationing. Whether your taste demands traditional New England seafood and steak, or wanders to Sushi or Mediterranean fare you’ll not be disappointed by the freshness of local produce and the richness of creativity in the menu. Most famous as the summer home of the Boston Symphony Orchestra at Tanglewood in Lenox, the Berkshires offers much more in live performance theater and dance throughout the season and year. A trip to Tanglewood on vacation in the Berkshires is a highlight activity for all ages. Theater festivals in Stockbridge and Williamstown and the acclaimed Jacob’s Pillow Dance in Beckett attract talented artists and sell-out crowds. Stage and an Opera companies are based in Pittsfield, and the established Shakespeare & Company perform in Lenox year-round, and despite their name offer new plays by new writers, and of course new interpretations of the famous bard’s works. The reputation of the Berkshires cultural scene ensures a blend of established actors and new acting talent are featured in every new season. Millions of years of colliding tectonic plates, and thousands of years of glacial activity, have left an area of mountains and rolling hills and a region rich in hikes and walks for all abilities. The Berkshires were once seen as an inhospitable region with impenetrable forests and steep ravines but today it’s recognized as a hiker’s delight. And whether you want an energetic climb to the summit of Mount Greylock or ramble through Bartholomew’s Cobble or a path in one of the many state forests, you’ll find an outdoor paradise on your Berkshires vacation. For those with a more daring spirit, white water rafting, zip lining through canopies and hot air ballooning offer a truly unique perspective of the beautiful landscape, guaranteed to leave lasting memories. More on hikes and walks in The Berkshires. To experience the diversity of The Berkshires scenery requires sooner or later you take your car for a spin… and when you do let me encourage you not to seek the fastest route. There are plenty of country back roads to explore along with the more popular scenic summer and fall foliage routes. Scenic drives take you around rugged Mountain terrain or along valley floors, or down winding roads and through small untouched villages. Take time out to stop at a local shop or antique store and discover the heart and soul of the region and you’re bound to be pleasantly surprised along the way – and maybe find that ideal Berkshires vacation memento. The Berkshires have attracted many artists and literary figures in the past. Many of these artists became residents and drew inspiration for their works from the mountains, hills and valleys. Their workshop and residences have become museums open to the public. Two in this vein that spring to mind are Norman Rockwell’s Studio in Stockbridge, and Herman Melville’s home at Arrowhead in Pittsfield. 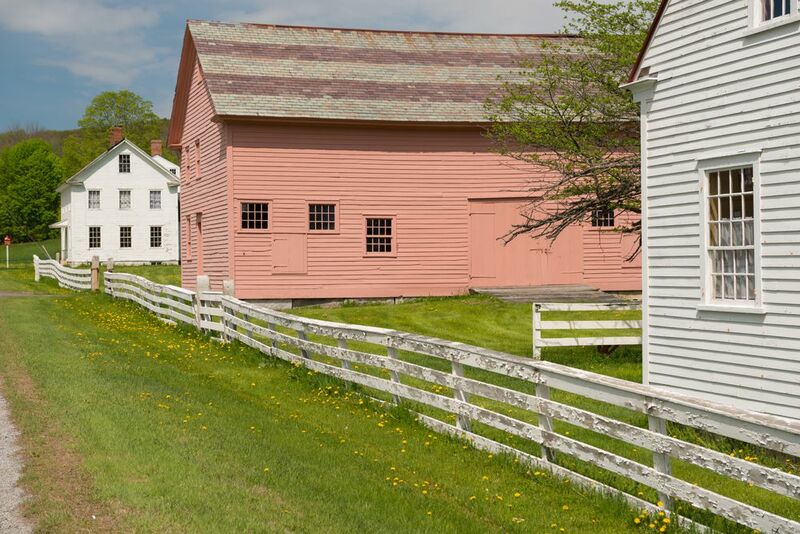 Other delightful museums to visit on a Berkshires vacation include the Animation Museum in Lee, the Hancock Shaker Village, the Ventfort Hall Mansion and Gilded Age Museum in Lenox, and a large collection of art museums and institutes scattered throughout the towns in the area. Berkshire County is one of the largest counties in Massachusetts and it has three distinct regions, each with its collection of towns and small villages. And it is the villages and the roads between that get you off the well-traveled paths to winding country lanes that invite exploration and a reason to “get lost” for a few hours. Berkshire villages range from destinations to linger and become absorbed in history to places with a few community buildings you pass through in the “wink of an eye.” Unhurried and no desire to be famous, the booms of commerce that enveloped other towns passed these by, and the residents seem thankful for their fate. Take time out from a busy schedule of enjoying shows, fine dining, and energetic outdoor adventure to visit places in the Berkshires hidden from most and let yourself unwind. The final – and arguably the best – of my reasons to love The Berkshires of Massachusetts is the striking fall foliage that returns each October. Here on the slopes and valleys of the hills and mountains in the Berkshires nature puts on an amazing show each autumn. Sometimes the timing can be unpredictable but it always delights. The different ways of experiencing the foliage suit all preferences and include: scenic drives, hiking in the forests, plane or balloon rides, or just taking the chair lift to the summit of Jiminy Peak. The towns and villages of the region come alive with fall festivals, craft shows, and special harvest events – it’s a celebration not to be missed. Bring your walking shoes, camera, and a spirit of fun, and you’ll have the time of your life. There is after all only one October – and a fine time to spend a Berkshires vacation. For Great Barrington Lodging click here. For Lee Lodging click here. For Lenox Lodging click here. For North Adams Lodging click here. For Pittsfield Lodging click here. For Stockbridge Lodging click here. For Williamstown Lodging click here. 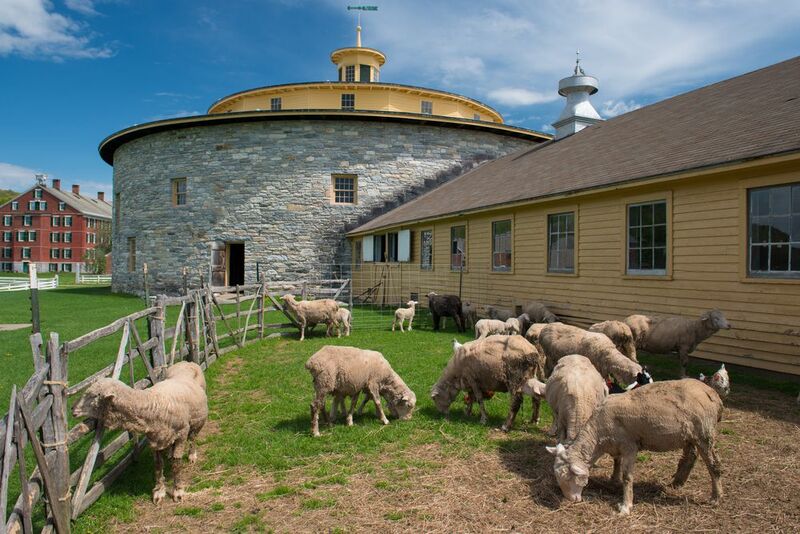 If you’re looking for lots of suggestions for family activities while visiting the Berkshires or planning a trip then check out our special Berkshires Family Vacation expert advice here.